An excellent local operator. We had a fantastic 7-day birding safari with Mamaland. Tony Byarugaba is a tireless, knowledgeable and dedicated guide. He helped us see many hard-to-find bird species in western Uganda and facilitated an amazing trek to see the Mountain Gorillas. Mamaland is efficient, friendly and make a huge effort to ensure that its clients enjoy their safari. Highly recommended. Perfect 2-week private safari tour through Uganda! 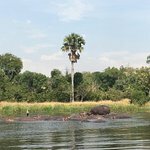 We (couple, 31 and 35 years old) did a 2-week safari through Uganda with Mamaland Safaris. We started from Entebbe and spent the first day at the Ziwa Rhino Sanctuary, drove all the way up to Kidepo Valley National Park and went on to Murchison Falls National Park, did the Chimp Habituation in Kibale Forrest, visited Queen Elizabeth National Park and the Ishasha Plains and finally went on the Gorilla Habituation in Bwindi Forrest before going back to Entebbe. The tour was perfectly organized and I would do it again exactly the same way. Approximately three months prior our vacation, we contacted Anna from Mamaland Safaris who responded immediately and set up a great schedule containing all the things we wanted to see and do. She was very flexible in changing accommodations and routings at our request. She also sent us copies of the (highly expensive) Gorilla permits in advance. We always had a very good feeling concerning this tour operator. Upon arrival, we spent one night in a guesthouse in Entebbe and were welcomed by our wonderful and passionate tour guide Moses the next morning. 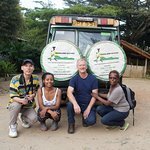 He took an amazingly great care of us during the whole tour and shared his incredible knowledge about the country, its culture and its wildlife. Due to our routing, we had some very long drives, but always felt really save in our car (4X4 with pop-up roof) and enjoyed even the bumpy and dusty roads. 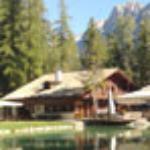 All lodges and guesthouses were booked and we did not experience any problems there. Also, all activities (game drives, spotlight night drives, boat safaris, chimp habituation and gorilla habituation) went per our itinerary. During our tour, we learned a lot about the country's culture and people and enjoyed the excellent hospitality everywhere. We were also really impressed by the variety of Uganda's landscapes and wildlife and had numerous unforgettable and very close encounters with the animals. It was really one highlight chasing the other! Mamaland Safaris is an excellent tour operator. I strongly recommend them and would definitely go on a tour with them again! Contacted Tony from Mamaland after a positive reference from my brother and reading only but positive reviews about them online .. and yeah they're amazing , they gave us the honeymoon we've dreamed of !! Honestly, looking back now, we would do exactly the same honeymoon: same company, same route, same accomodations, ... not change a thing ! That says it all, no? Tony is a fantastic, warm, friendly, flexible and passionate tour-guide, bird-lover and football-addict with an astonishing knowledge of nature and culture, not only from the countries they offer tours for, but also from many other countries in the world ! The contact through mail went very fluent. Tony proposed a route based on our interests and available days and we were able to adapt both the route as the accomodations, based on things we've read online and from other tours. Of course, Tanzania (Ngorongoro and Serengeti) has amazing NP's, unique in their type and is a must see! But Uganda as a country has suprised us very positively as well, especially the people's hospitality and the variation of activities and sights throughout the country (rafting on the Nile, seeing the big 5 in Murchison Falls, doing walks with birds and monkeys in the crater area, seeing the gorilla's in Bwini, etc etc). Yep, a true undiscovered pearl! Thank you Tony for organising it all and thank you Charles and Hussain for guiding us around ! 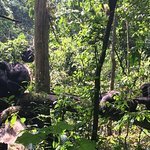 We enjoyed a very successful 4-day safari, including the hot springs in QENP Semliki, Mweya, a boat trip on the Kasinga channel, and chimp trekking. It exceeded our expectations in so many ways. Our guide, Paul, went out of his way to make sure we had the best experience. We appreciated his knowledge and expertise at all times. He lead us to a pride of seven lions and pointed out many interesting animals and birds. We had quotes from three companies before choosing Mamaland, and their itinerary was the most detailed and the competitive. They were also very patient and responsive to our specific requirements. We hope that there may be another opportunity to travel with Mamaland in the future. We did the "Magic of Nature" Tour with Mamaland Safaris and we had the best time. The places we0ve visited were all beautiful and interesting, and the accomodations were very good with great Food. Our guide was TOP, known by the People all over the places we stopped (which was very helpful sometimes) and with a huge knowledge about culture, land and nature. We can just recommend everybody to choose Mamaland for a trip through this wonderful Country. 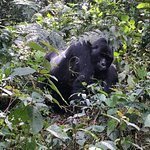 Had an absolutely fantastic time with Mamaland Safaris travelling around several different National Parks and seeing gorillas, chimps and many other animals. The service was fantastic and accomodation top notch throughout. My guide was helpfuly and informative. If you are thinking of going to Uganda, I would thoroughly recommend you use these guys. Thank you Mamaland!